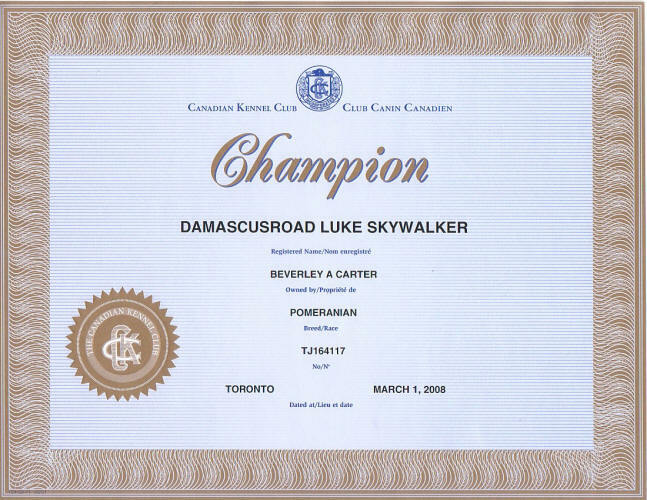 Luke finished his Canadian Championship from the group in only three shows (the minimum number possible) with two 5-point majors and a 4-point major. 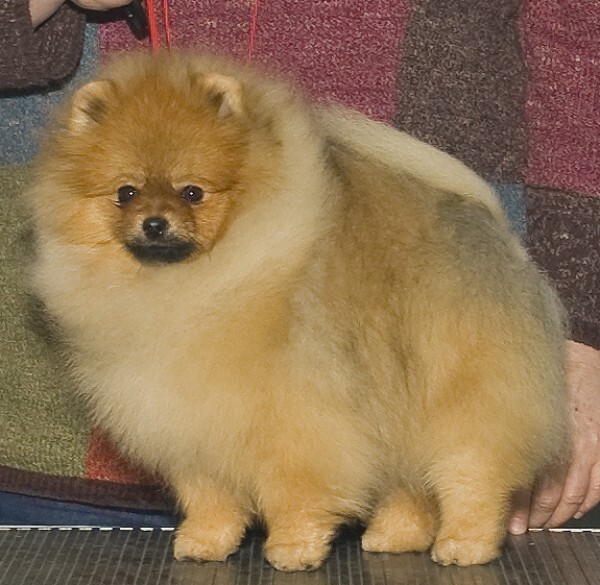 He finished on March 1, 2008 from the Senior Puppy class (not quite 10 months of age) with a Group First and a Best Puppy in Show under well known and respected Judge Wendy Pacquette. He did it again on Sunday March 2, 2008 with another BOB and Group First win under Judge Thomas Touzel. 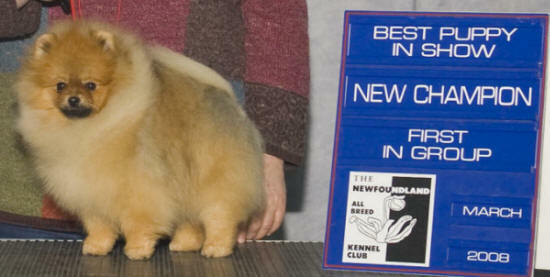 Pictured with Judge Wendy Pacquette the day he finished his Championship with a Group First and a Best Puppy in Show ~ owner handled! He finished his Australian Championship in August 2008.